According to State Farm insurance company, a stunning 50% of 11,500 vehicles studied showed tires with half-worn tread. 10% of vehicles had at least one bald tire. Another study by the U.S. National Highway Traffic Safety Administration (NHTSA) showed that 27 percent of vehicles on the road have a bald tire. And, if those vehicles are traveling at highway speeds of 70 MPH or more, then it increases the stopping distance by 184 feet on wet roads. That becomes a serious liability problem. But, that’s not the only problem. Here’s what your business need to know about checking your company’s tires, and how to stay out of trouble with the law. As a business, you need to make sure that your fleet is well taken care of. That means inspecting, both visually and with specialized instruments, the condition of your tires. If your tread is worn down on any tire, replace it immediately. Depending on how much your vehicles are driven, you may need to do this check once every month or as little as once every 6 months. One of the things that a lot of people forget to check is the air pressure. 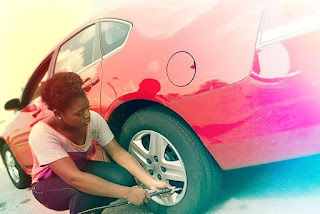 Air pressure in the tires must conform to the stated safe or recommended tire pressure stamped on the vehicle’s interior, usually on the driver’s side door interior. Keeping your company’s tires inflated is serious business. bald or substantially under-inflated tires are a major risk for injuries and fatalities. 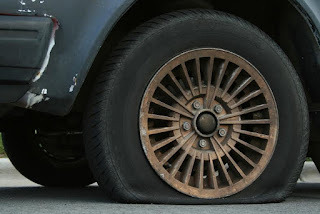 Tires that are underinflated may experience folding of the sidewall. This folding causes the sidewall of the tire to roll underneath the rim, burning the tire, and causing irreparable tire damage. 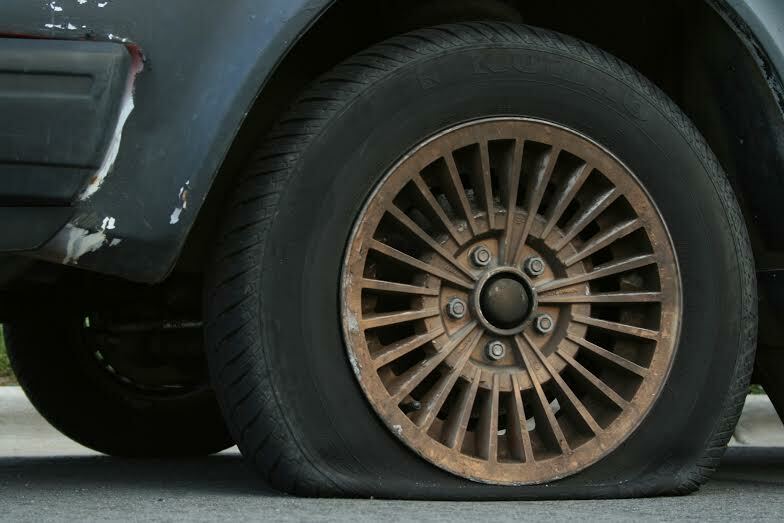 If the tire is damaged enough, it can cause it to crack and eventually fail - catastrophically. If this happens while one of your employees is driving, they can be seriously injured or even killed. Staten Island personal injury lawyer, injuryclaimnyclaw.com, is experienced with these types of claims, and they’re almost completely preventable. In most cases, it’s a simple matter of making sure you check the tires each and every week. When the temperature changes suddenly, check them that day. According to Jeffrey Runge, NHTSA administrator, tread depth is a critically important part of maintaining your tires. Unsafe tires should be replaced immediately. And, checking the tread depth clues you in to the lifespan left on those tires. One way to monitor tread depth is to take a penny and place it into the tread of your tires upside down. If you can see all of Lincoln’s head, then your tires are bald. If you only see part of his head, and his eyes are covered, it’s worn, but probably OK. If most of his head is covered, then it’s a new tire. When in doubt, take it to a tire specialist. They can use more sophisticated tools to measure the tread depth and determine whether your tires need to be replaced or whether they’re fine, as is. Michelle Lawson has a background working in various safety roles. Her articles, which appear on a range of blogs from business to consumer, focus on keeping people safe!